Educator, MLA (1950-1953), MLA (1954-1957), MLA (1958-1959). Born at Poplar Point on 16 April 1914, son of Jack P. Bend and Annie Ada Wilson, he was educated at Poplar Point High School, Portage Collegiate, and the University of Manitoba (BSc 1937, BEd 1960). He taught school in Manitoba for fifteen years, including at Tilston School (1937-1940) and service as Principal of Victory School (1960-1961) and Garden City Collegiate (1961-1964), and Superintendent of the Transcona-Springfield School Division. 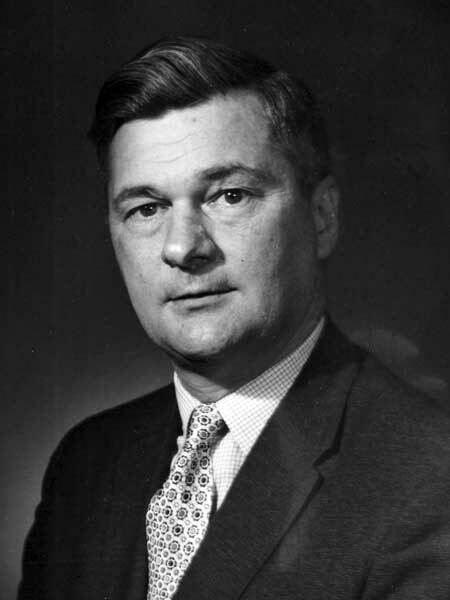 First elected to the Manitoba Legislature at the 1949 general election, re-elected in 1953 and 1958, he served in the government of D. L. Campbell as Minister of Health and Public Welfare (1955-1958). Defeated in the 1959 general election, he later served as leader of the Manitoba Liberal Party. He ran against Harry Enns in the 1969 general election but was defeated. On 18 September 1938, he married Laura Kathleen Fisher, daughter of R. F. Fisher, of High Bluff. They had three sons. He was a member of the Stonewall Hockey and Baseball Clubs. He received the Queen Elizabeth II Silver Jubilee Medal (1977) and was inducted into the Manitoba Baseball Hall of Fame (1997). He died at Stonewall on 24 September 1999 and was buried in Stonewall Cemetery. He is commemorated by R. W. Bobby Bend School in Stonewall. Obituary, Winnipeg Free Press, 27 September 1999, page C7.